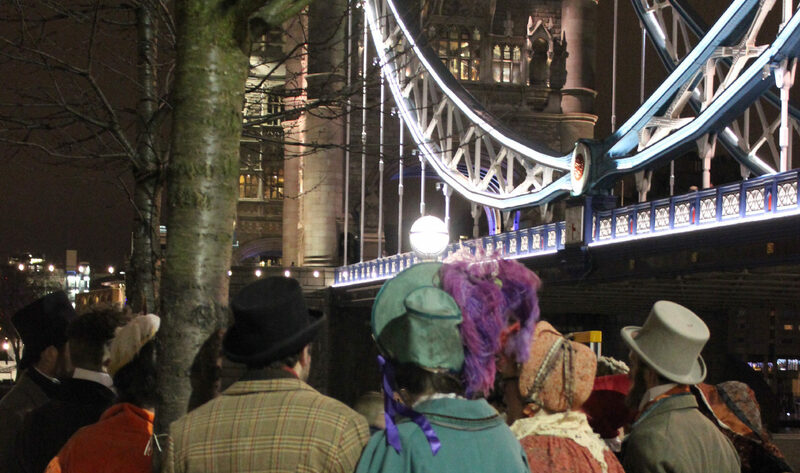 We stepped back in time for this Victorian Christmas celebration on the banks of the Thames at One Tower Bridge. 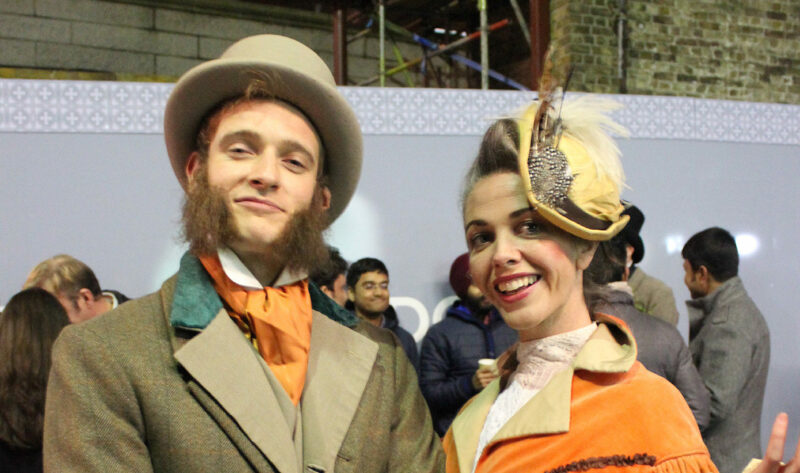 We created an evening of entertainment for conference delegates and passers-by at this beautiful riverside setting, Our hair, makeup and costume experts transformed our talented actors into wonderful Dickensian characters, leaping straight out of the pages of a novel. Mulled wine was served by the landlords Henry and Henrietta Hiccup and nuts were roasted by Nancy Nutkins and her sidekick Tony Nuts. The romantic Holly Spriggs give away mistletoe and wishes, and carols were sung with gusto and harmony by our choir under our Victorian street lights and decor. Mr Chrimbers and his daughter Mary gathered folk to enjoy getting involved and feeling festive, and celebrate the impromptu engagement between Cecil Snow and his delightful fiance Letty, an event which was cheered on by all of the guests. Definitely, a night before Christmas to remember.